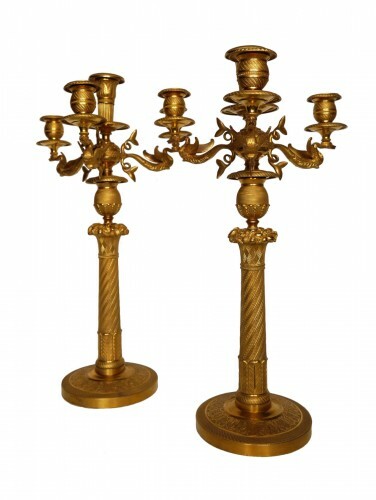 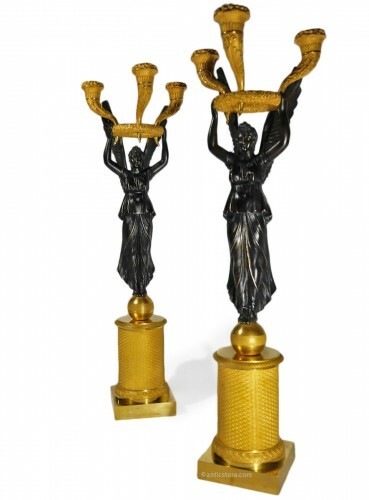 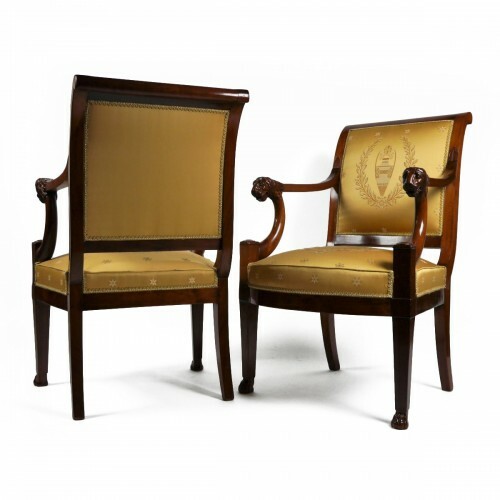 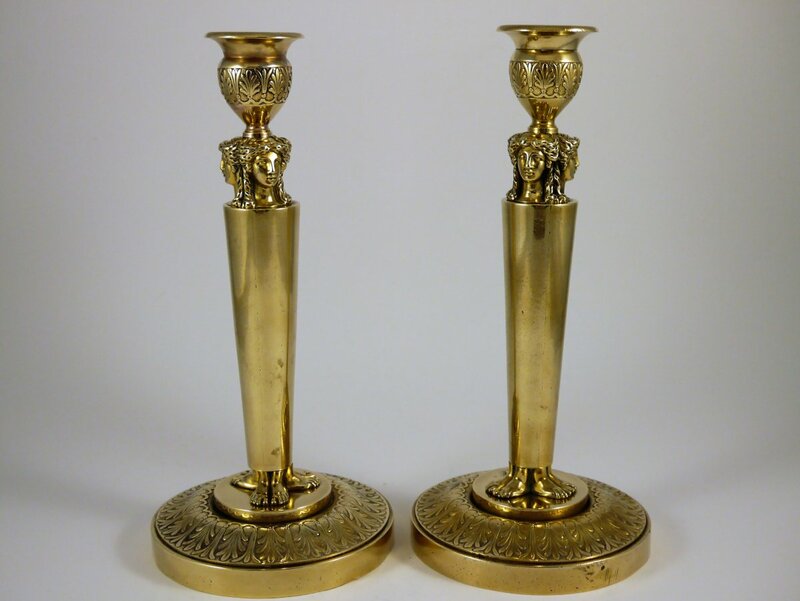 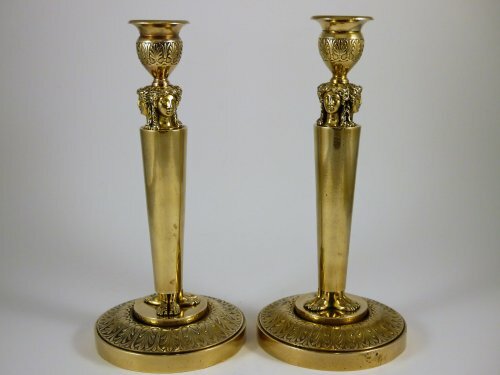 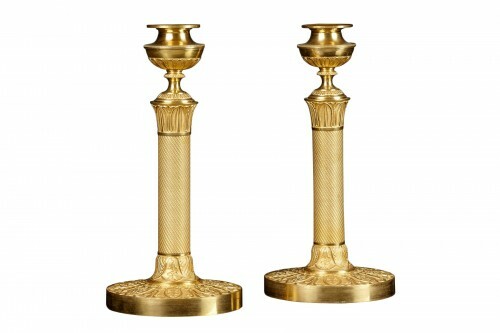 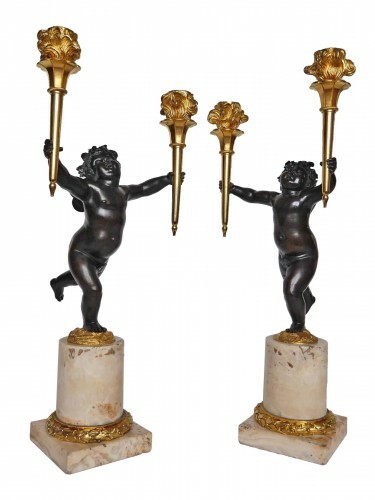 Pair of candlesticks in gold plated copper. 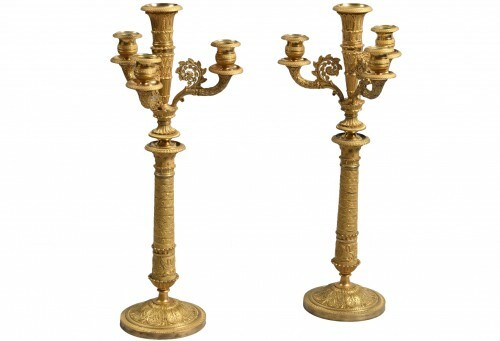 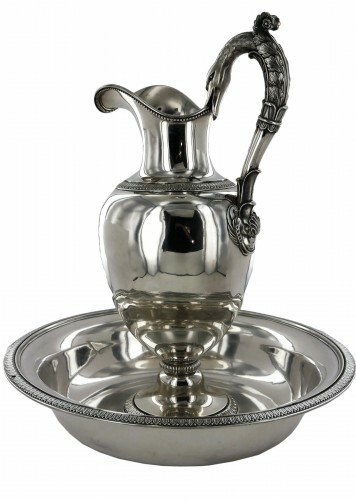 Claude Galle delivered two pars of the same candlesticks to the Palace of Fontainebleau in 1804. 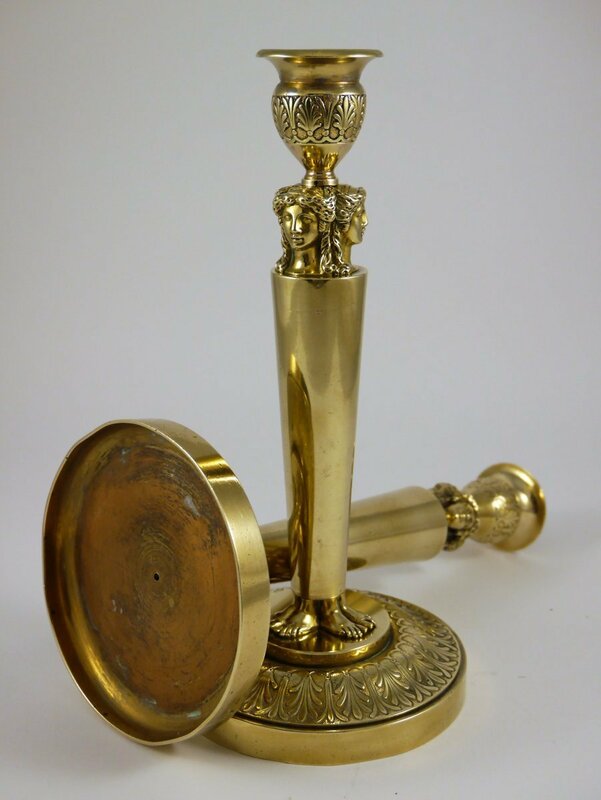 Condition report: very nice condition, light deformations on the base due to a normal usage.